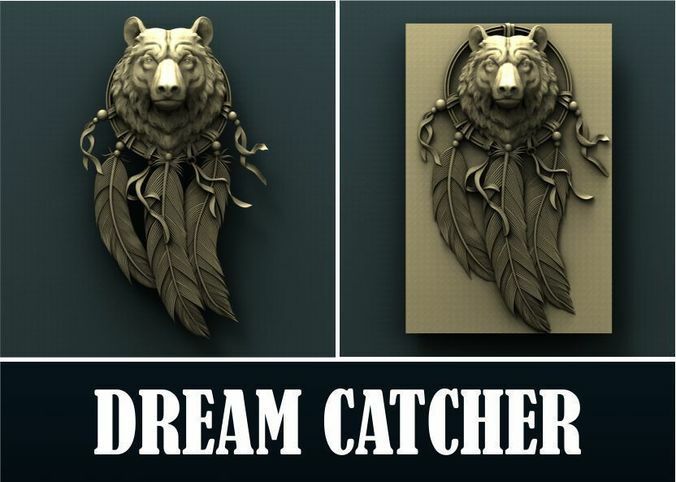 Bear dream catcher, 3d stl model for cnc. Feel free to contact me if you have any questions about the model. Enjoy!